Dou is the traditional Japanese sense, thought, style of action, way of life and virtue. I say the features of dou-learning. Dou-learning is the thought to respect that we are human being. Mere skills or knowledge are possible for A.I. or robots. We are afraid that A.I. or robots will rob us of jobs. If we gain mere skills or knowledge, that bad dream will come true. Modern world has more and more complicated and difficult problems, such as environmental issues, war, poverty, globalization, or any other issues. We cannot manage them now. Perhaps it is impossible to deal individual issue singly. I think dou-learning has the possibility for our future. With dou-learning, we can do what A.I. or robots cannot do. Perhaps we will be able to handle the difficult issues. So, we are learning by dou-learning. 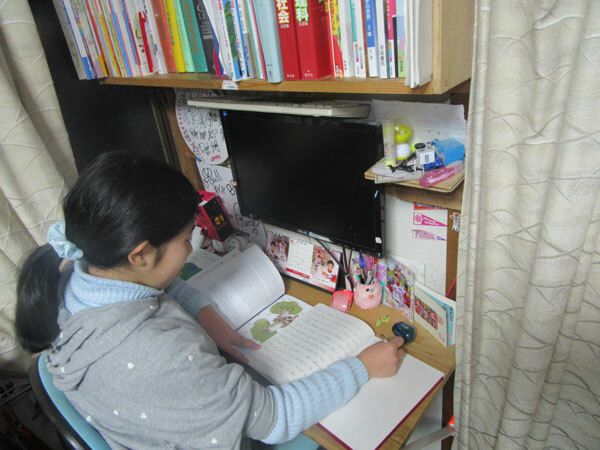 We study and experience with dou-learning method. Everyday children transcribe a book with a pencil on one sheet of paper (if ten years, 3000 sheets). Parents start to read books to babies (0 year old). Children like to read books. Especially, fairy tales, fork tales, old stories, myths, legends, classical literatures. They are the treasure of human beings. Much of new thought, science and technology are able to be found in them. Perhaps cues, hints or suggestion. And they are base of ourselves as human beings. Children (from 3 years old) use their own computers, and they learn not only how to use computers but also what is computers . Children think and find why they learn. If they don’t think, they cannot study because nobody forces them to study. Parents are not teachers but partners for children. Children don’t compete against other children. They compete with themselves. 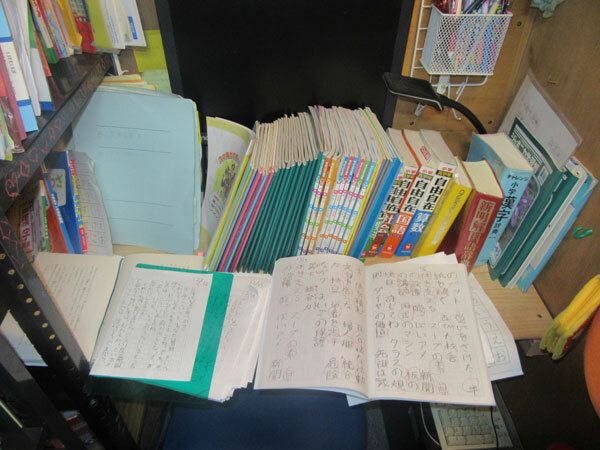 In 10 years old, Nagomi used these books and notebooks everyday. Children are given materials and tools as many as they need. Children are not forbidden because of danger or risk. Of course, large danger is forbidden. Parents don’t advice or guide children while the situation allows. Children can do anything. Of course they cannot do what is impossible. Children have large freedom. At the same time they should know freedom requires responsibility. Children can fail. Failure is valuable learning. Children can do nothing. That is the valuable time. Children know that a hard activity brings pleasure. Children know that cooperation brings happiness. Children know that competition against others brings ruin. Children take part in various activities in family. Children take part in various activities out of family. We join some groups with continuous activities. We go to various places for learning. Children think by themselves, decide by themselves and take responsibility by themselves. Of course parents help them if it is necessary, but minimally. Children know that everything is both good and bad. So everybody is right and good on one side. 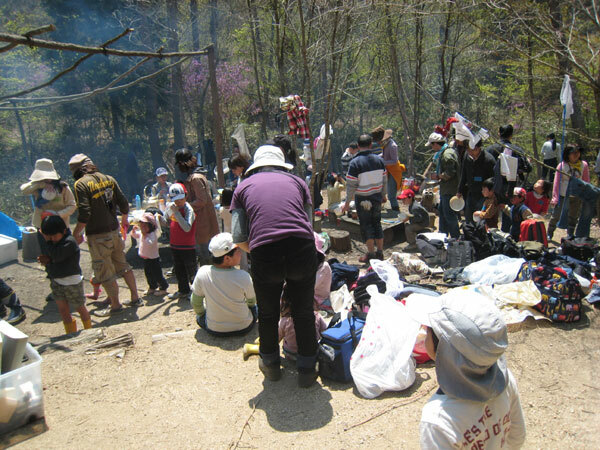 We acted with a group in the forest. 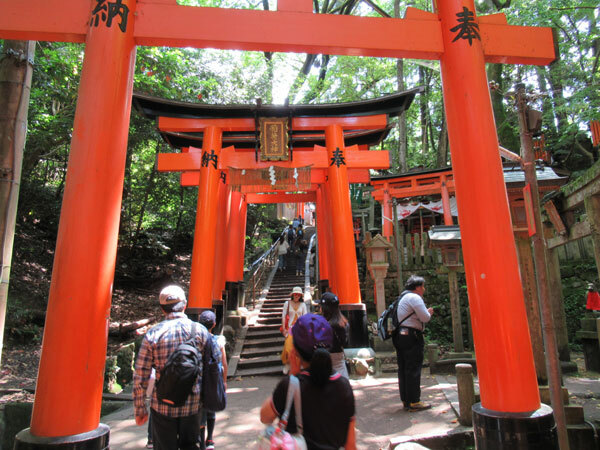 We went to Fushimi-inari in Kyoto.